As part of Gov. Mike Dunleavy’s budget cuts, Alaska would be the only state that doesn’t fund medical education. On Monday, lawmakers weighing the proposal heard from an administrator for the program that’s now in place about the benefits and costs to the state. WWAMI is the name for the University of Washington-operated medical school program that serves students from Alaska and four other states: Washington, Wyoming, Montana and Idaho. Alaska students spend their first three semesters at University of Alaska Anchorage. Then they get clinical training around the five states. Dr. Suzanne Allen oversees the program. She said serving the needs of Alaska and the other states is a program goal. “When we look at the needs across the state — primary care and in rural areas — WWAMI has created our curriculum to really address those specific issues, to try to train the workforce that is needed for the state,” she said. Allen said the money the state spends for the program is well spent. She said the state spends slightly less than $40,000 per year for each of the 80 Alaskans who get their M.D.s through WWAMI. Another $10,000 or so for each comes from the University of Alaska. But it’s that return rate that Dunleavy’s administration has cited as a problem. Sixty-one percent of Alaskans who go to WWAMI return to Alaska. This is higher than the national average of 39 percent of public medical students who stay in the state where they attend school. But it’s lower than what state leaders would like to see. 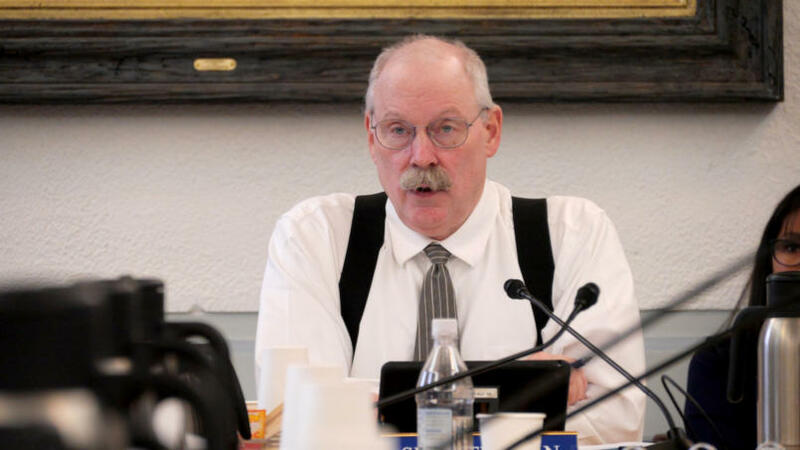 Sitka Republican Sen. Bert Stedman told Allen during the Senate Finance Committee meeting on Monday that changes to Alaska’s WWAMI funding are likely. Hazel Brogdon, a recent WWAMI graduate from Chugiak, plans to practice as a psychiatrist in Alaska once she completes a residency in Washington. She said receiving part of her training inside Alaska will help her prepare to practice here. Brogdon opposes eliminating WWAMI funding. The House Finance subcommittee on education and early development didn’t adopt Dunleavy’s proposal. It decided to continue with $3.1 million in state funding for WWAMI. The full House Finance Committee begins considering the budget this week.